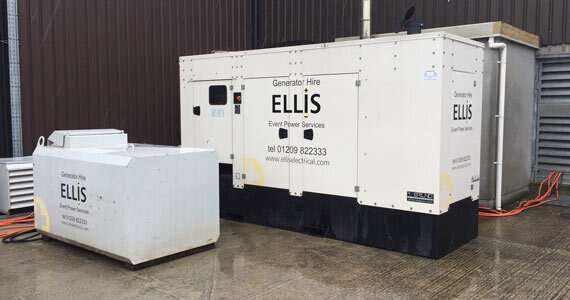 Ellis Event Power have the generator equipment, skills and experience to provide temporary electricity to any size of event in Cornwall and Devon. Our engineering background means that we work with you to understand your requirements, from generator supply to complex design and set up for large events. A full service providing a faultless finish, right first time every time. From large site building services work to returning domestic work we have a team on call 24 hours a day, 7 days a week. Providing power generators for hire to commercial and domestic customers throughout Cornwall and Devon. Rapid response emergency power service across the South West including standalone lighting towers. 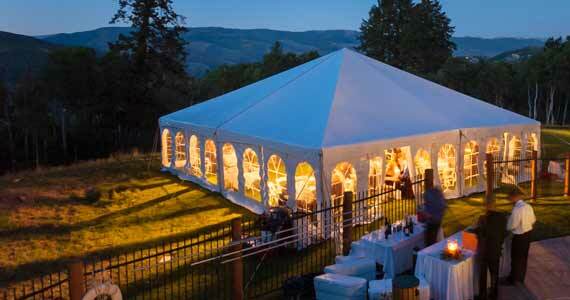 We provide event power for both indoor and outdoor events including weddings, concerts, Festivals, corporate parties. 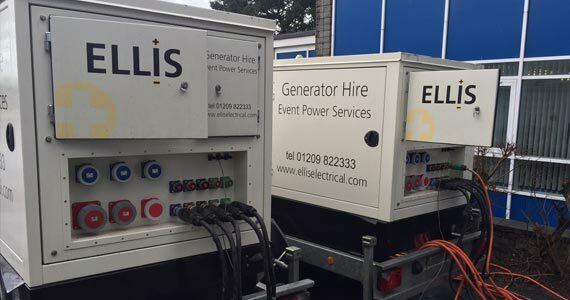 Our super silent generators go out on hire to all shapes and sizes of events. An outdoor wedding is limited only by the imagination of the bride and groom – and the electricity supply. 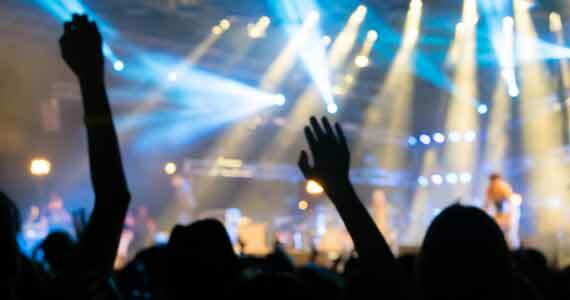 With our hands on experience we can ensure you’re at one with your environment and providing a world class event. 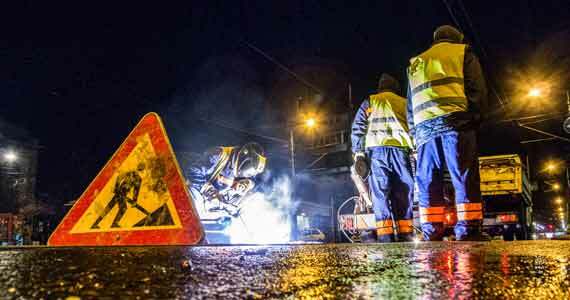 From site lighting for rail, for emergency lighting, for utility works we can meet all your illumination needs. 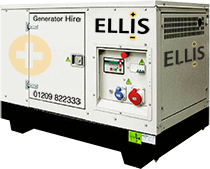 We can supply emergency power to minimise the business interruption of power cuts with our emergency generators. From our origins in Redruth Cornwall over twenty years ago we have built a business as unique as the South West region we serve. Having built our foundations as electrical contractors we are ideally placed to offer; top quality generator and lighting tower hire for events, electrical contracting services, domestic electrical work, security and alarms and building services advice of all kinds to all sectors. We work hard and maintain the highest standards. Our ethic is right first time, offering customers the highest quality workmanship every time. We’ve got the power and knowledge to serve you. We first named a generator to give her an identity; a simple way of record keeping. It worked for us and it brought a smile to several customers, who began to know the units by name. If you get your booking in soon enough you can check the name of ‘your’ generator. Or even have one named specially for you. Our service is reliable, quiet and unnoticed because all our equipment is event rated, up to date and of the highest quality. We never hire our event equipment to building sites so you can be certain it will not be an eyesore or a noise annoyance. At Ellis Electrical quality of service is met with value; you don’t need to settle for second best for your special occasion. Power, electrical power, is what will drive most, if not all, services on site and we understand completely the need for our systems and generators to connect to all services. Providing exceptional service and faultless finishes first time, every time we supply electrical installation, maintenance and testing across the region. We provide a full service, from domestic work to building services design and supply for large projects. Long term investment in our business and people continues to expand the range and depth of services we offer. As a NICEIC approved contractor our clients can trust our work. We provide electrical installations throughout the UK.